The second part of our Michael’s Makers challenge was to show you where all the action happens! Eighteen25 does not have a craft room, (one is in the works) but we do have specific spaces where we craft (like our kitchens and dining areas). When you are limited on space, organization is key! Wouldn’t you agree? You’ll want to start with the Metal Slat Wall Pack. I purchased three (there are two slats in a pack) for a total of six slats. Six was perfect for me because it was about the same height as my dry erase board that it is next to. All of my twine was put on the peg hooks. I love having twine close by because I’m always trying to make something cute with only minutes to spare. 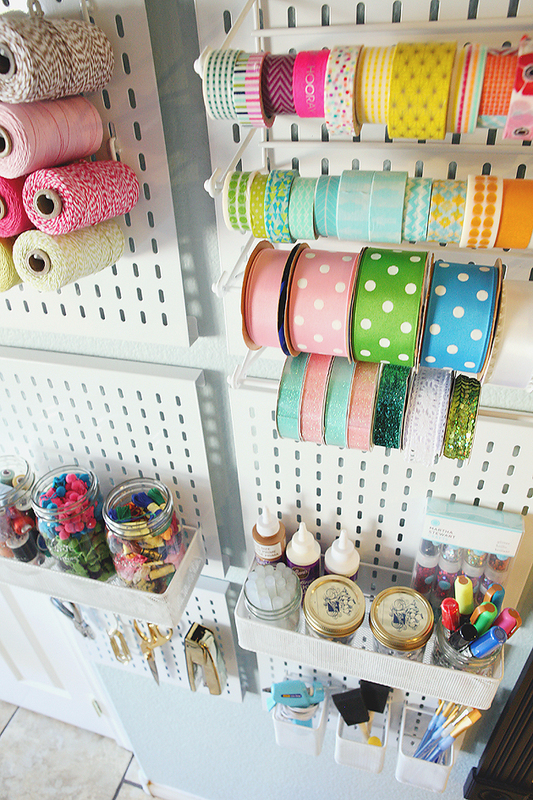 My washi tape and ribbon went perfectly on the ribbon bar. I love these because the bar easily comes off so, you can remove ribbons and tape without a problem. Hole punch, paper clips, scissors and stapler are on Small J Hooks. These hooks are awesome and I could probably live with another pack. 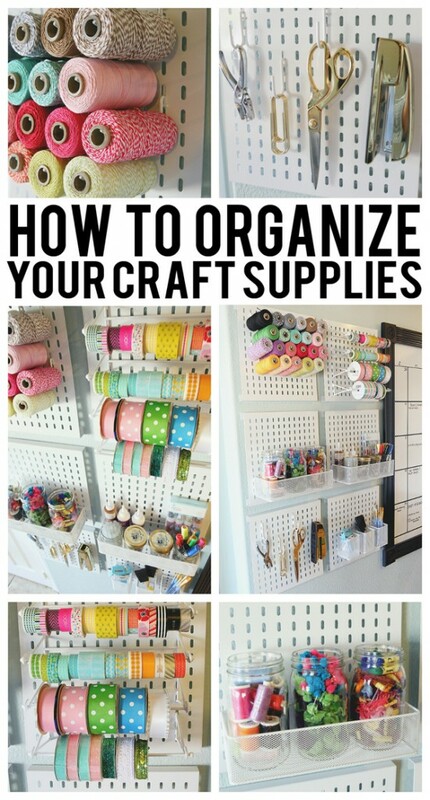 The mason jars were all put in the Large Metal Baskets and the glue gun and brushes were put in the Pencil Baskets. It’s still a work in progress. There’s a lot more space that can be utilized and I’m having fun figuring out where I want everything to go. 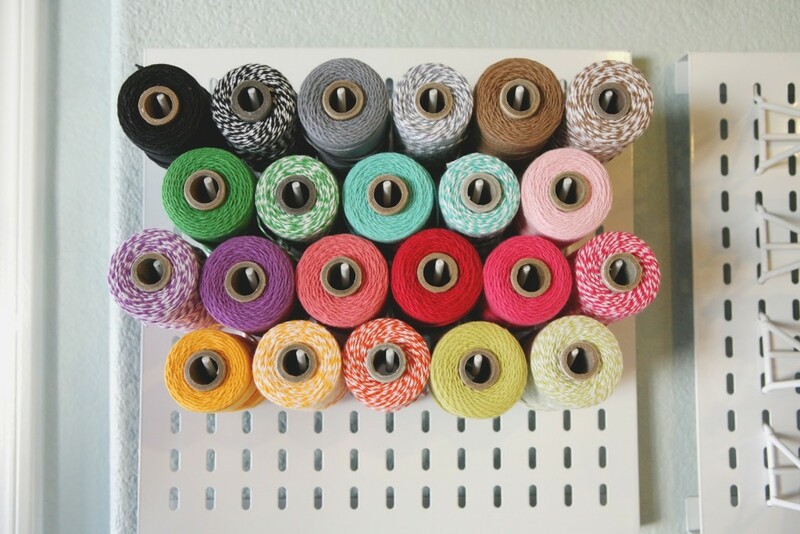 If one of your New Year’s resolutions is to clean out your closet, your office or even your bedroom, but you’re sick of the typical containers and boxes – here are some cool and creative DIY storage ideas that might help! 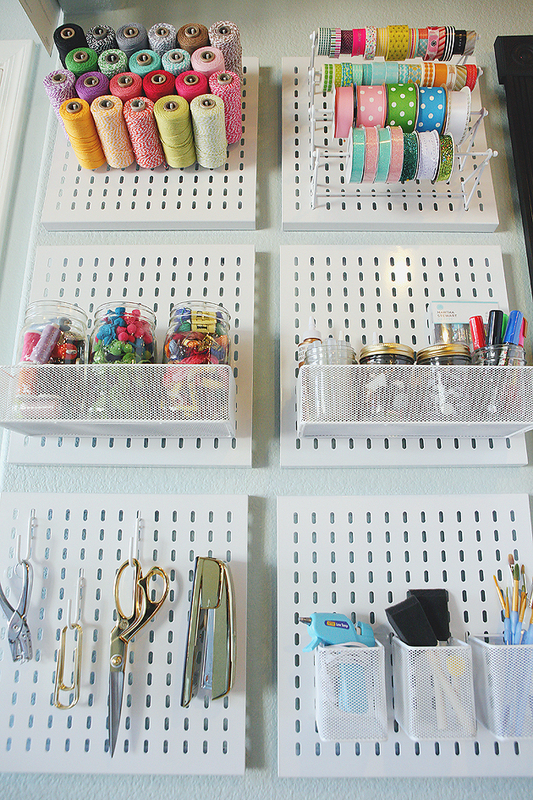 For those of you that just need a place to store your craft materials check out these cool craft storage systems. The Wife and I grabbed a cheap thick dowel from the hardware store to mount and rack all of the ribbon and yarn that she uses on her wreathes and such. Thanks for the post. Good stuff! How much did these organizers cost? We were super lucky because all the organizing stuff was 50% off that week! There are links throughout the post that will take you to the Michaels website. Good news… it looks like most of it is 50% off online still! 🙂 Let me know if you have any more questions. 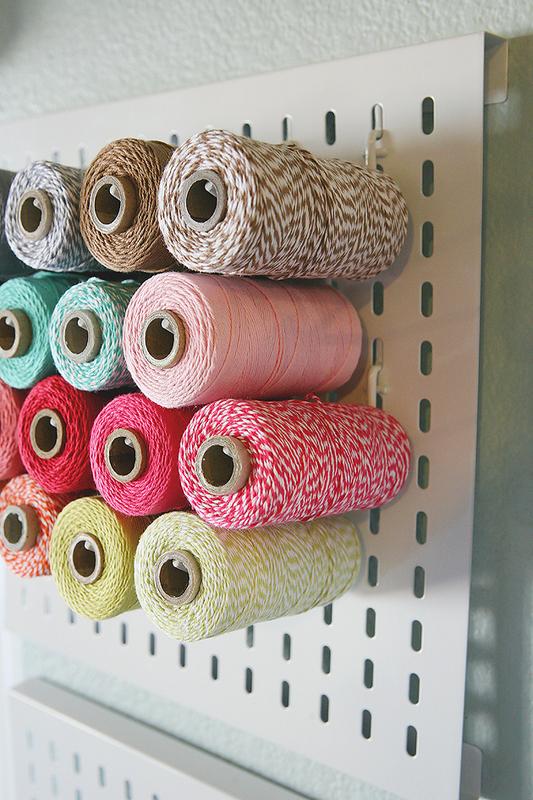 Where do you buy your twine? Thank you for the great post. Where did you purchase the large calendar dry erase board? Hi. How is the wall slat attached to the wall? the links take you to michaels but does not recognize the item. I’m so sorry. I was so sad when Michaels stopped carrying them. I wonder if somewhere like the container store would have something similar? ?